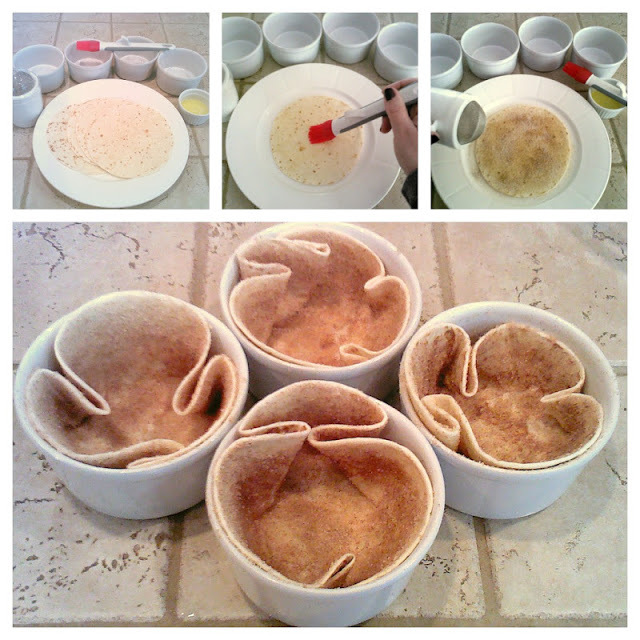 Today I thought I’d share one of my favorite yummy tricks…how to make your own cinnamon sugar tortilla bowls! 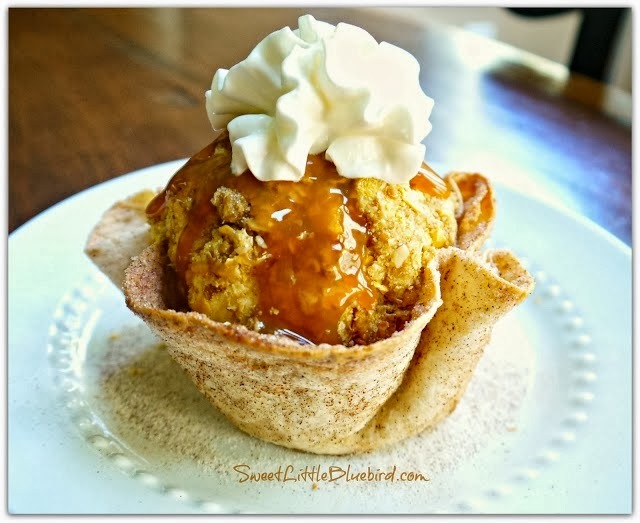 If you have flour tortillas, butter, cinnamon and sugar…you can whip these up in no time! I’ve been making these bowls for about 18 years, since I was first married. They are so simple and make a pretty presentation for desserts. 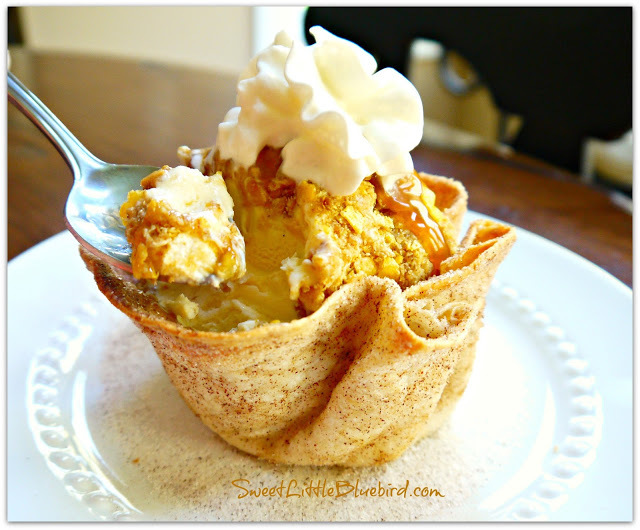 You can fill them with so many things – my new favorite is to fill them with apple crisp! Preheat oven to 350 degrees F. Spray each bowl lightly with non-stick cooking spray. Microwave each tortilla (I do one at a time) for 8-10 seconds ~ this makes them easier to place in the bowls without tearing. Next, lightly brush both sides of each tortilla with melted butter and generously sprinkle with cinnamon sugar. Place each tortilla in a bowl, gently filling the bowl and folding them where needed. Press the center of each tortilla to make a flat bottom. Place bowls in preheated oven on middle rack. Bake for 15 minutes or until they are crisp and golden brown. Once ready, remove from oven, let stand for 2-3 minutes and remove them from the bowls. Place the tortilla bowls on wax paper to finish cooling. Be sure to lightly brush with butter – too much will make them soggy and they won’t crisp up. During the baking process, check the tortillas to see if there are big bubbles filling the center of the bowls. If you have any, just pop them with a toothpick and continue baking. Fill them with something yummy and dig in! When you’re done…don’t forget to eat the bowl! 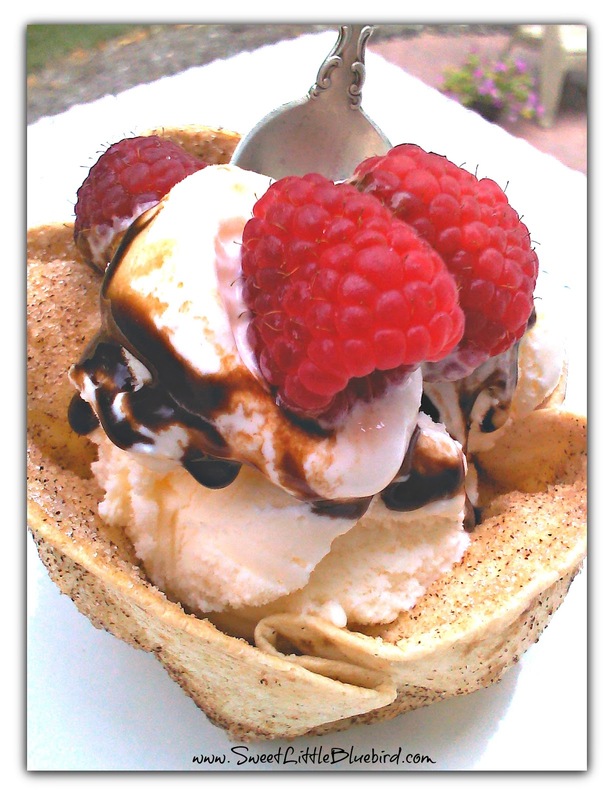 Above is a bowl filled with Cheater Fried Ice Cream! Click on the photo for the recipe! I'm making this for class. How can I store this with pudding for 24 hours? When I printed the recipe a lot of other stuff printed also. I don't know why you have other stuff be printed along with recipe??? Please correct it. 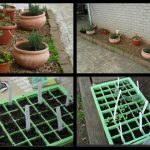 Thank you..
Just love this idea! Will have to try this soon! 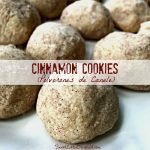 I make these for my kids every Saturday using Splenda & Cinnamon. 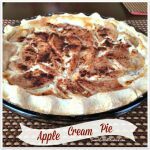 Their favorite snack/ dessert with these is my" Apple & Banana Pie"
When the bowls are still warm I put a thin layer of Peanut Butter in the bottom. I was actually searching for a tortilla bowl recipe for dinner tonight and came across your post. This looks sooo good!! these are great. 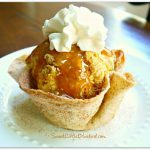 i would be honored for you to come share them at our recipe link up on my french inspired blog's weekly party!